Best Truck Camping Setup: Truck Tent Campers, Roof Top Tents, or What? There are pros and cons to each approach, and what is best for one traveler, might not work for another. 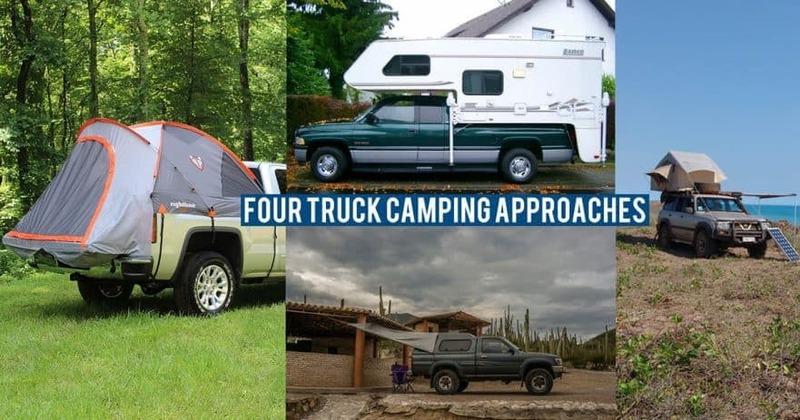 I thought I’d run down through the good and the bad of the four most common approaches to truck camping in order to help you narrow down what might work best for you, and perhaps a few drawbacks that you should keep in mind for each approach. Slide-in campers are what most people think about if they hear “truck camping”. They are the rigs that slip into the truck bed, and usually wrap up over the cab of the truck. These are most akin to a mini RV, but with more maneuverability thanks to the size, and the versatility of the truck. There are campers for small half ton trucks, but most are made for larger one ton pickups. Inside you can expect to find a bed, kitchen, usually a dining area, and sometimes even a bathroom and shower. Slide in campers are built for when you want the comforts of home with the portability of a truck. Cost: $3,000 and far, far beyond. Weight: At least 1,500 pounds. The most spacious, comfortable, and amenity rich of all the truck camping options. This is the setup that gets you closest to the comfort and accommodations of an RV. Easily arrive at camp with no setup, and easily drive away from camp without having to pack much of anything up. Increased height (often 3’ over the cab) can create problems with overpasses, drive throughs, parking garages, etc, and cause a large change in the center of gravity for the truck. Greatly increased weight which means additional wear and tear and fuel consumption. No stealth factor, everyone knows you are camping in there. Not easy to use as a traditional truck, you’ll need to jack up the camper every time you want to remove the camper and use it like a regular truck. Another great compromise is the pop up campers, featuring a dramatically reduced weight (around 800+ pounds) and reduced height (since the top literally pops up) so there are less concerns about parkings garages, etc. Truck canopy camping, what I refer to as truck camping throughout my site, is when you outfit the interior of a truck canopy in order to sleep and live. This type of camping could be as simple as tossing a mattresses in the back and heading out for the night, but most will build some sort of bed and storage system in the back out of lumber. The two most common approaches are a “back shelf” mode whereby you place the mattress under a shelf for gear storage, affording you the most headroom, or the “elevated sleeping platform” where your gear is stored below your bed. Both have their pros and cons, which is why I decided to combine the two into a “transformer mode”. Cost: $1,500 for a new fiberglass canopy, but there is a large supply of used canopies available. Another $100 or more to build a truck camping setup inside. Weight: Approximately 200 pounds for a fiber glass canopy. Stealthy, you can camp inside in areas where it isn’t necessarily permitted without calling attention to yourself — handy in residential, suburban, or urban areas. Little impact on the truck’s center of gravity. Little impact on MPG (my truck, even with all the gear, gets about 1mpg less than before). No need to take down your camping setup in order to drive away from where you are camping. Hard shell roof and walls to protect you against wind and rain — no leaky fabrics or flapping nylon. 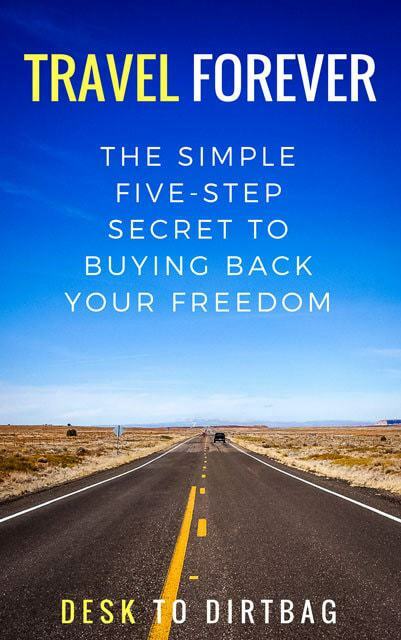  Are you interested in starting a side hustle that will give you freedom? 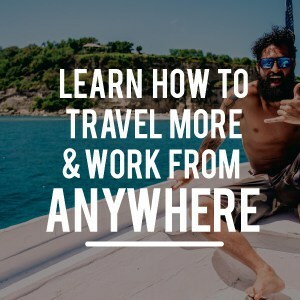 ✈️ Without having to quit your job right away? Don't miss out on this year's Paradise Pack! 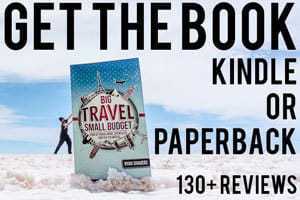 ️ This once a year sale contains all the info you need to start a business that will give you freedom to travel.  It's available for a limited time, so check it out now before it disappears on April 29th! If you travel with a lot of gear, you may need to reorganize before you can sleep (if you use the backshelf mode rather than a sleeping platform). A lot less living space, since you and all of your gear need to coexist within the canopy, especially if you get a standard height canopy rather than an elevated canopy. It can be difficult to fully bug proof them if you are camping in mosquito prone areas. Builds can be difficult to remove if you build a heavy and complex system of drawers and storage. Though my transformer mode can be either taken out or removed in just 15 minutes so you can use your truck and canopy like normal. Check out my truck camping videos for a better idea of what exactly my setup is like in action. Roof top tents (RTTs) were particularly popular among the overlanding communities in Africa and the Australian outback, where the elevated sleeping platform provided a safe space away from predators and other poisonous critters. Thanks to social media, they have been growing in popularity in other regions, with many new companies springing up to offer all sorts of different roof top tents and styles. Roof top tents are either soft sided fold open tents or of the hard shell variety. Either way they sit on top of your roof (obviously) and have a staircase that folds down for access. * But you will also need a canopy and a roof rack in order to install it, which means additional weight and expense. Quick setup with no gear to move around — your sleeping quarters are isolated from gear storage. Many roof top tents have the bedding in place and ready to go after opening the tent, no need to blow up mattresses or dig out the sleeping bags and pillows. There’s a certain “cool” factor and photogenic aspect that has helped them take off in popularity. Fully separated living quarters and gear storage means a lot of space from a relatively small package. Great ventilation and bug proofing thanks to traditional mesh and nylon construction. No stealth factor — you can’t exactly fold out those roof top tents while camping in a Wal-Mart parking lot. Durability issues with long term usage as they become susceptible to water leaks. You have the noise factor from wind and nylon as you would with a traditional tent (unless it’s a hard shell). You’ll need to climb up and down a ladder to access your bed, use the bathroom, etc. You will throw off the center of gravity of the truck and also see reduced MPG due to extra height and drag. The extra height can be problematic for parking garages, drive throughs, etc. Need to take down the tent in order to drive away from the campsite. Not easy to place or remove the tent from the truck, so not a good option if it will only be used periodically, else you will be driving to work on Monday with one of those roof top tents and the reduced MPG. 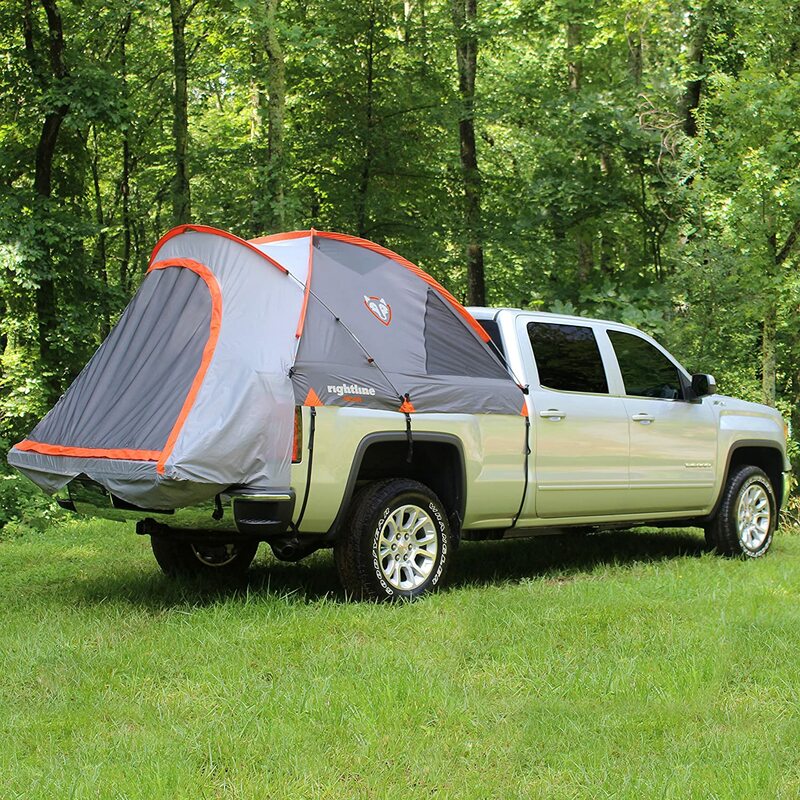 Truck tent campers are growing in popularity, and are essentially floor-less tents that you can pitch right over the truck bed. This means you don’t have to remove any gear or equipment from the back when you set up your tent. This would be the least intrusive way to truck camp, and would get you up off the ground, if you’re adverse to sleeping down there. 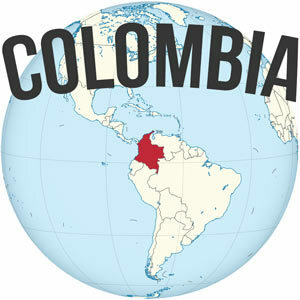 Weight: Negligible, around 10 pounds. Easiest to remove since it isn’t a permanent fixture, you can use this on the weekends, and have your truck ready for work with no canopy or obstructions for the weekday. Costs the same as a normal tent. Not really any different than setting up a standard tent, beyond the fact that you don’t need to hammer stakes into the ground, but that’s a benefit over a standard tent, not other forms of truck camping. Still susceptible to wind and rain, like a traditional tent. You must take it down in order to drive away from your campsite. 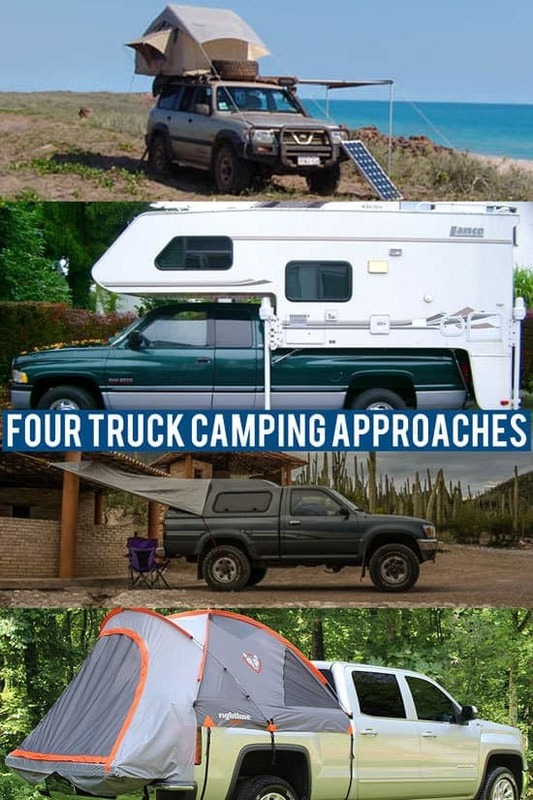 These are the four most common methods of camping when it comes to sleeping out of your truck. Each method has its pros and cons, and each method holds appeals over other methods. Really it all comes down to how you use your truck, how you feel most comfortable camping, where you plan to camp, and how frequently you need to move once you arrive at camp. With any of these truck camping methods, you’ll need some solid gear to make life on the road more pleasant. Be sure to check out my article on the Truck Camping Gear Essentials. 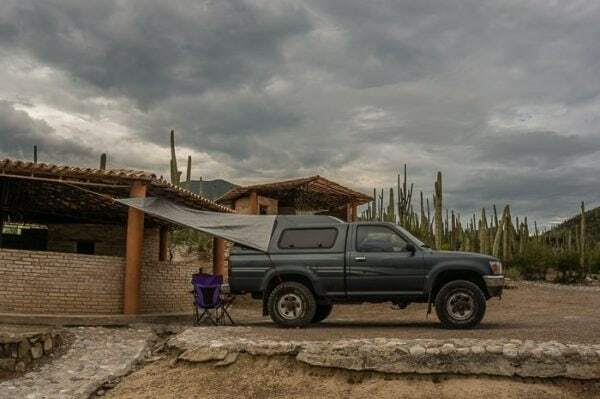 Join the private Facebook group Pickup Truck Camping to ask questions and share your insights, and be sure to get outfitted and get going with the essentials by visiting the Truck Camping Store. Not sure you consider this as an option but camping out of a full size van for me checks all the boxes. I have the cargo capacity and headroom of a truck but the advantage of accessing the back without getting out of the vehicle which adds to the stealthiness. Yeah, I don’t consider that a truck camping option — but there are definite advantages and disadvantages about VanLife. Been thinking about a separate post comparing the two.